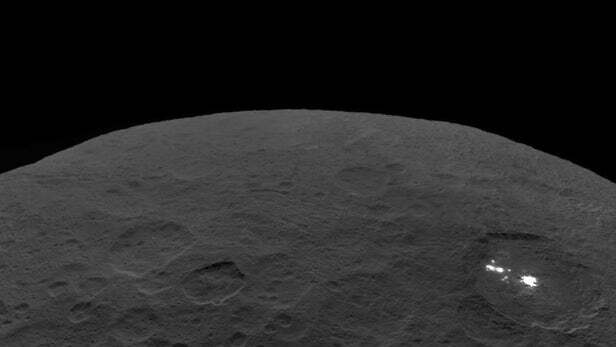 After 11 years exploring the asteroid belt, NASA’s Dawn mission has come to the end. On Monday, the space agency confirmed that all contact has been lost with the deep space probe after it failed to make two scheduled communications with the Deep Space Network (DSN) on October 31 and November 1, 2018. Having eliminated other possibilities, the Dawn team has concluded that the unmanned spacecraft has finally run out of the hydrazine propellant needed to point its radio antenna at the Earth and its solar panels at the Sun. The Dawn probe is currently about 257 million mi (414 million km) from Earth in orbit around the dwarf planet Ceres, the largest and most massive body in the asteroid belt between Mars and Jupiter. NASA says that the now derelict spacecraft is following strict protocols to protect the unusual chemistry of Ceres and is expected to remain in orbit for at least 20 years, with a 99 percent chance that it will still be in orbit in 50 years. Dawn was launched on July 7, 2007 at 7:34 am EDT from pad 17B at the Cape Canaveral Air Force Station on a Delta 7925-H rocket. Once the probe reached escape velocity, its three ion thrusters used xenon propellant to accelerate it to the velocity required to reach the asteroid belt. The then state-of-the-art thrusters worked by electrically charging xenon atoms and then propelling them aft to generate thrust. This thrust wasn’t much – only about 90 mN, or about that generated by the weight of a sheet of paper – but the engines could fire for weeks or even months at a time to build up a surprising head of speed across 4.3 billion mi (6.9 billion km) of space. In 2011, Dawn went into orbit around the dwarf planet Vesta, the second largest body in the asteroid belt. 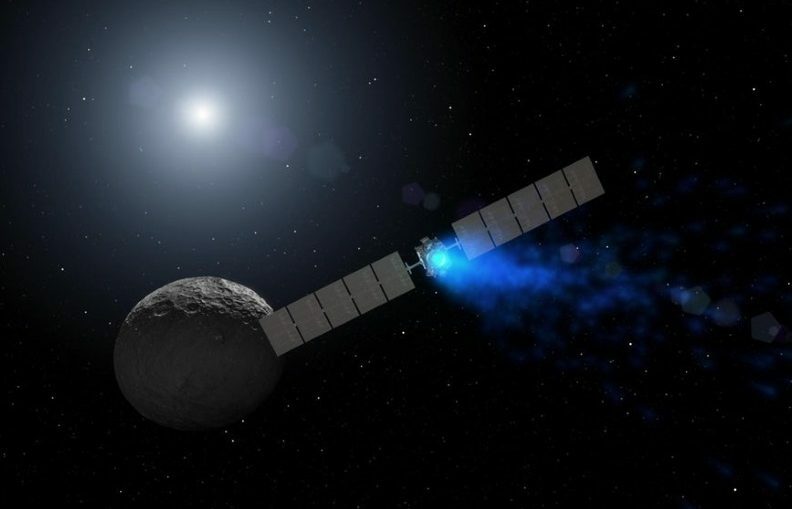 This was the first time a probe had achieved orbit around an object in the belt, but Dawn scored an even bigger first when it left Vesta under power and proceeded to Ceres, which it orbited in 2015. This was not only the first visit to Ceres, but also the first time a spacecraft had gone from Earth to another body, then left that body to go on to orbit a third. While in orbit around the dwarf planets, Dawn used its four main instruments to map their surfaces and study their structures to learn more about the early solar system and how planets form. Since it is possible that dwarf planets like Ceres and Vesta may have once had (small) oceans, NASA believes they could tell us a great deal about how life may have emerged on Earth. The video below discusses the Dawn mission.